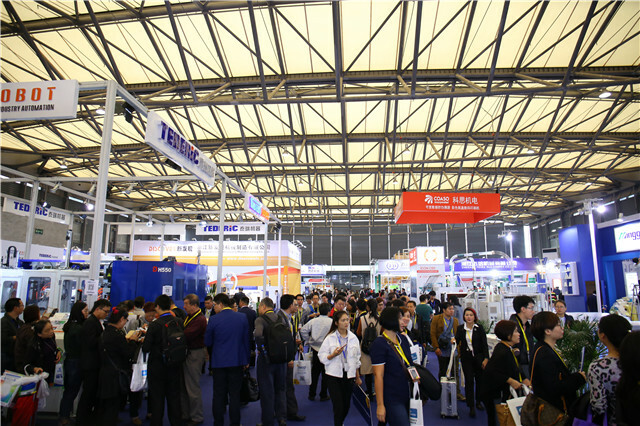 Shanghai World of Packaging (swop), hosted every two years by Messe Düsseldorf (Shanghai) Co. Ltd and Adsale Exhibition Service Ltd, is developing rapidly. Registrations for the trade fair are now open at www.swop-online.com/en. The upcoming edition will take place from 25 to 28 November at the Shanghai New International Expo Centre. Visitors can expect around 20% more exhibition space in now five halls and a supporting programme with a wide scope that has been expanded considerably compared to the previous event. swop addresses the eight key target groups foods, beverages, confectionery, bakery, pharmaceuticals, cosmetics and daily care products, non-food and industrial goods. The trade fair thus offers an extensive trade platform for manufacturers of machines and materials in the packaging industry and the related processing industry in an international growth region. After the extremely successful Chinese premiere of SAVE FOOD during swop 2017, this segment will once again focus extensively on solutions that contribute to curbing food waste and loss in 2019. A conference and a special presentation will take place in cooperation with FAO in Hall N2 and will illuminate approaches along the entire value chain, from the field to our plate. The special topic ‘FMCG Future Zone’ was also very well received in 2017 and in 2019 will once again present trends around the most diverse materials, technologies and designs in the segments food, cosmetics and pharmaceuticals, spread out across around 12,000 square meters. Once again, the concept has been realized in cooperation with PKG Family, a leading organization in this field in China, and directly addresses branded companies in the aforementioned segments. In Hall N4, ‘components’ was inspired by the trade fair of the same name in Düsseldorf, which has taken place parallel to interpack since 2014. Exhibits from the fields of drive, control unit and sensor technology await visitors, along with software, machine components as well as complete automation systems and integrated automation solutions. This makes this exhibition attractive for companies that offer packaging and process technologies to customers in the eight key target groups from food to industrial goods. The special presentation on e-commerce logistics and packaging is a brand new addition to swop 2019. Here, smart automation solutions including robotics particularly take center stage. In turn, the special presentation on the complex issues surrounding packaging printing takes a closer look at trends in the fields post press and converting, cardboard packaging, printing equipment, pre-press and digital printing as well as corrugated materials including paper, colours and consumables. For further information on these topics and up-to-date information on the trade fair, please visit www.swop-online.com/en. swop can also be contacted using WeChat.